Welcome to Owlswood Lodge. This purpose built house has been designed to provide a desirable holiday home with great attention paid to all the details which will make your holiday perfect. Hot tub available. 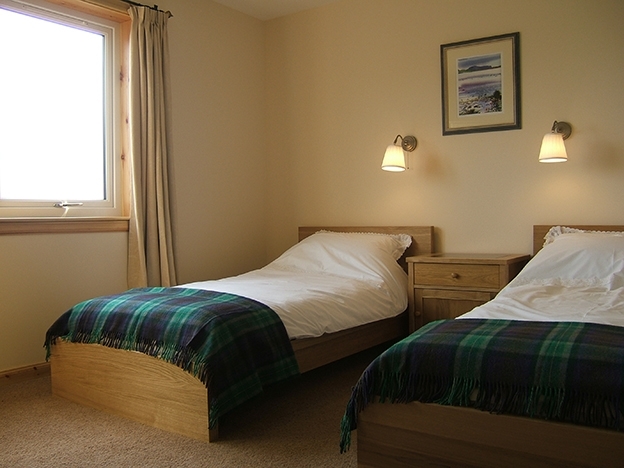 Early booking is recommended for Christmas, New Year, Easter, Folk Festival (May) and St Magnus Festival (June). 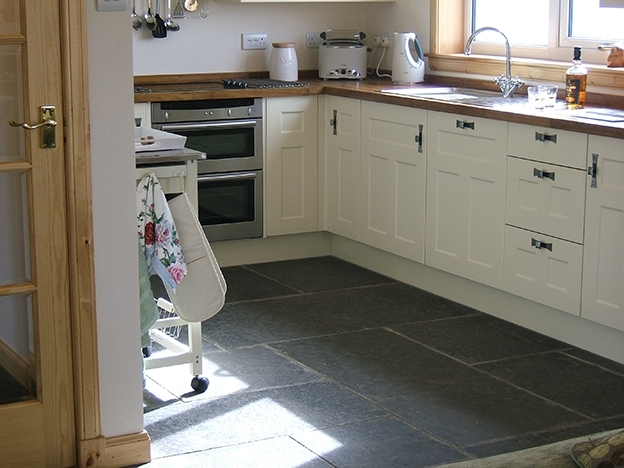 We may consider 'last minute' bookings for long week ends or short breaks (minimum price is £250) The Lodge has been built in a traditional style with welsh slate roof, flagstone floors and multi fuel stove but has all the comforts of modern living. 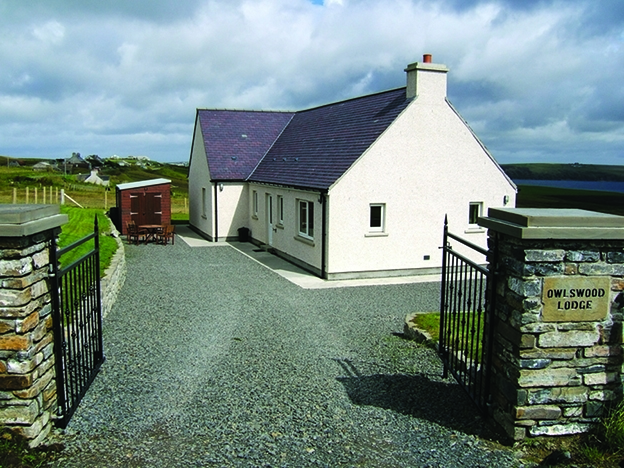 Under floor heating, powered by an environmentally friendly ground source heat pump, ensures that the Lodge is always cosy even when Orkney experiences several changes of weather in one day! The environment is very important to us and all our cleaning products are eco-friendly and all appliances energy efficiency 'A' rated. 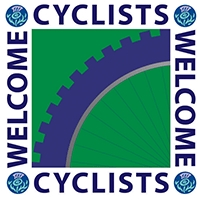 Our flag stones and stone for the dykes came from a local source and we encourage re-cycling. 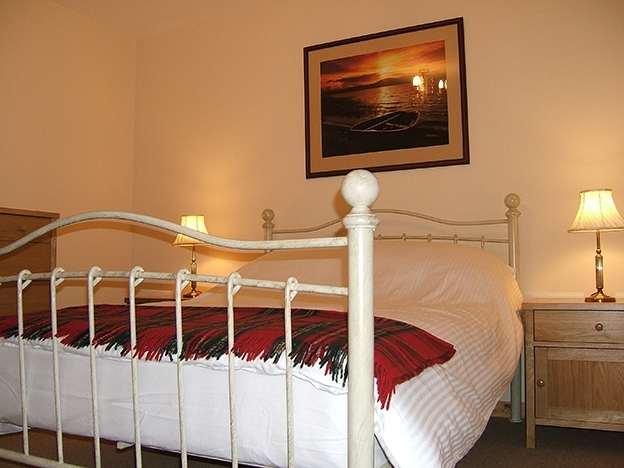 Owlswood Lodge is particularly suitable for Fishermen, Birdwatchers, Walkers and Surfers. There is plenty of drying space for wet clothes and a lockable large shed for storage. BIRDWATCHERS - Owlswood Lodge is a member of the RSPB and is adjacent to the Hobbister RSPB Reserve - bird watching from the window! 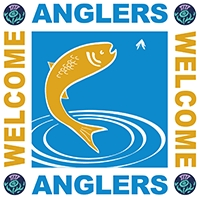 FISHERMEN - We can arrange boat hire and 'visitor membership 'for the Orkney Trout Fishing Association prior to your visit. We can even arrange to have your 'big ones 'vacuum packed and /or smoked for you to take home. •Open plan sitting room, dining room and kitchen - bright and airy. Large table sitting 8; positioned to catch the sun for breakfast and lunch. 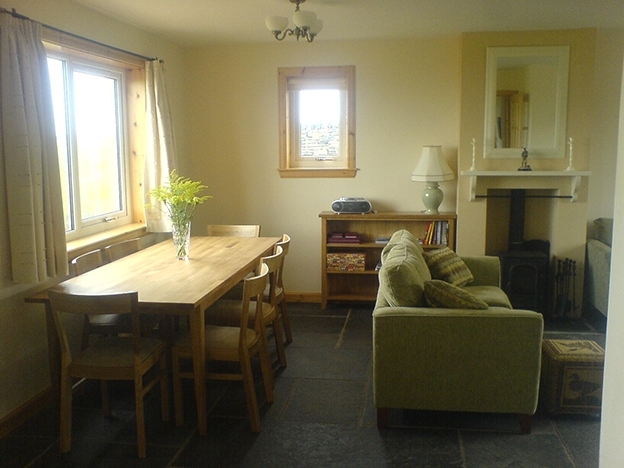 Open views over farmland, moor, Scapa Flow and Owlswood. A variety of books, games and maps are provided for your use. Multi fuel stove. TV. CD /Radio. Electric Cooker, dishwasher, fridge, microwave and all kitchen equipment which you may require. •Utility room - large Belfast sink for washing fish, shells, wellies etc! Ceiling 'pulley' for drying clothes, plenty hooks to hang up wet stuff, boot rack, recycling bins. Washing Machine. •Garden enclosed by 'shire' sheep fence, dykes and young fuchsia hedges. •Large shed for bikes, rods, surf boards etc. •A short stroll away over an adjacent grassy field is Owlswood. This small woodland was planted in 1995 and was named after the Short Eared Owl who patrols the periphery every evening. • Dogs are by arrangement only. We have sheep in adjacent fields therefore dogs must be under control at all times. Dogs must not be allowed on furniture or left on their own in the house. We would appreciate you using 'Pooper scoopers' around the property!!!! •Towels and Linen are provided. •1 Bag of fuel (logs, peats, coal or wood) is provided for your use. Additional bags can be purchased locally. •Basic shopping can be done for you in advance if you give me a list.The nearest shops are 4 miles away in Kirkwall. There is no internet food shopping delivery in Orkney! We wish to make your holiday memorable and special. Please feel free to make any special requests prior to arriving and we shall do our best to arrange or accommodate them.